You know what this means... You now have to build her a plane, that she can decorate. Find a FFF plan that has fairly large sides to the fuse. Give these to your kid, and let them paint, color, etc the plane. Then watch the smile on their face as the plane "they made" takes flight. Of course, if you crash it, that could be rather traumatic. That's an awesome idea!!! What do you suggest? Something super simple...I've never done a scratch build plane before. This would be a good learning experience for me. I have plenty of parts lying around too. The FunBat is super simple to build, and there is plenty of surface for little artists to practice there craft. I think this will be a good first build. 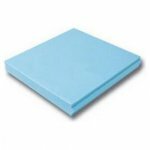 What size of foam board was used to construct one? It's a super simple build, easy to fly, and plenty of side to draw on. I have it all laid out on a big sheet of foam board I got from Hobby Lobby. This stuff is hard to cut, am I doing this right? I taped the pages together and tacked it to the foam board. Now i'm cutting along the lines with my trusty Hobbyking 8 Point snap knife. This stuff is so hard to cut its stupid. What thickness is your board? It is easier for me to use Xacto blades, epecially for the slots. Remember also that you have to cut at an angle, 45º or more (between the paper and the knife). 1/4" thick foamboard. I got the angle down, it just has thick paper on both sides of the foam. I'm definitely going the fan fold foam route next time I build a foamie. 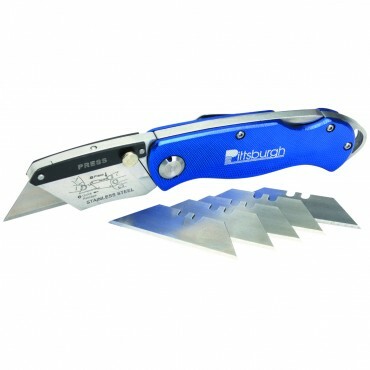 Utility knifes (box cutter with changeable blades) work best for the paper covered board. The paper dulls the blades quite fast so you need to change ends of the blade and blades rather often. I save them and reuse them for other cutting needs that don't require a quite as sharp as new blade. I use an X-acto hobby knife for fine work. I've also been using one of these. Wow... that looks much more comfortable than the knife I use. It is the same one as the very simple one from HK if you know it. It's like $3 from Harbor Freight. I would cut the plans out first, then trace them on the foam. I also removed the paper from the foam on my planes. Although, with that type of foam board, you lose a LOT of rigidity that way. I found it easier with this type of foam with the paper on both sides to score through the top layer of paper then through the foam...making about two or three passes of cuts instead of trying to cut along the line in one cut.